Wednesdays, 5:00 - 5:30 p.m. The Daily Office is an ancient practice of daily prayer that marks the hours of the day. The purpose of this devotional practice is the sanctification of time (a reminder that all time is sacred since all time belongs to God) and the sanctification of the individual/community (a way for us to be drawn closer to God and to one another). Christian monasteries and convents in the early Church formed their entire lives around the daily rhythm of prayers, psalms, Bible readings, canticles, verses/responses, and the Lord's Prayer. The Rule of St. Benedict was particularly influential. For some, this service will stir vivid memories from the past in the Episcopal Church. For others, it will be a new and perhaps even awkward worship experience. For all, as we pick up the rhythm, we hope that this traditional yet timeless liturgy will enrich our common prayer during the Season of Epiphany as we share the good news of the Light of the World with all! Come one, come all! The food is amazing! SJB Tuesday Night Suppers in the Denver News! 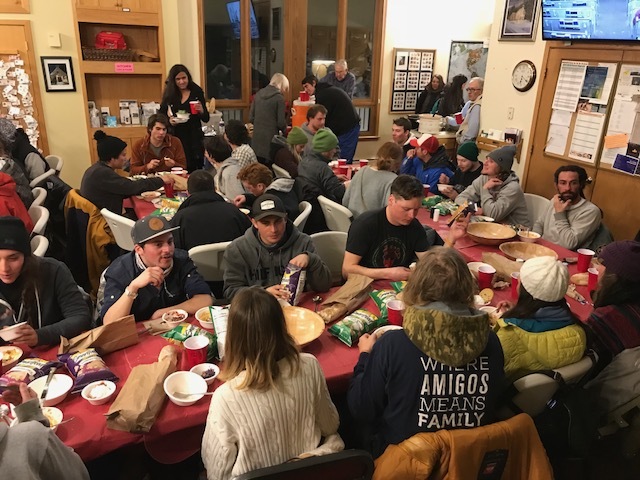 Click HERE to read an article dated last winter from The Denver Post about the feeding ministries in the High Rockies, with special mention of Nancy French and all those who help at St. John the Baptist on Tuesday nights! And click HERE to watch the video from one of the suppers, broadcast by Fox 31 News in Denver.